Today, we revere Wesley, seeing clearly in retrospect the full impact of his ministry. However, we may not appreciate how he was scorned and even hated by his contemporaries. In England: Before and After Wesley, J. Wesley Bready points to the following examples. Now, I believe we can do more today than look wistfully at our Wesleyan heritage, or reflect on it with nostalgia. I believe that there are certain aspects of it that can guide us today as a church in great need of renewal, especially theological renewal. It is not uncommon today to hear claims that United Methodism is not a creedal church. We are, rather, a church that focuses on a reasoned faith and on experience. One dramatic example of this claim was seen in a commentary in the United Methodist Reporter written by Rhett Jackson, a layman from South Carolina. He has been to eight General Conferences and 42 Annual Conferences as a delegate. He said he was a part of a group in his church seeking a “religion of reason.” Their problem is that “we do not believe in the virgin birth, physical resurrection, ancient creeds or any of the other magic revealed in much of our liturgy and literature.” He admitted to reading John Robinson’s Honest to God decades ago, and it changed him dramatically. He sees “magic” revealed in our liturgy. This antipathy to creedal formulation was also seen in the changing requirements for membership. Since 1864, the Methodist Episcopal Church had required members to subscribe to the Articles of Religion, but in 1916, this requirement was removed. Belief in the Apostles’ Creed continued to be required beyond 1924 because it was in the baptismal ritual, but it, too, was dropped in 1932. What are those core doctrines? Robert Chiles agrees with Methodist theologian Colin Williams (author of John Wesley’s Theology Today) and lists the doctrines which Wesley insisted on at various times in his ministry as “original sin, the deity of Christ, the atonement, justification by faith alone, the work of the Holy Spirit (including new birth and holiness), and the Trinity.” These were non-negotiable and nothing less than the great historic tenets of catholic Christianity through the ages. Take away any one of the six and you have something less than classic Christianity. Nor will it do to interpret them in such a way that they are scarcely recognizable when weighed against Christian teaching across the centuries. For John Wesley, right doctrine was a vital ingredient for a right heart. Your heart could scarcely be “right” in Wesley’s terms if you denied, for example, the deity of Jesus Christ or the bodily resurrection. In fact, Wesley goes on to make his ringing, clarion charge that United Methodists today very much need to hear, saying, “A man of truly catholic spirit, has not now his religion to seek. He is fixed as the sun in his judgment concerning the main branches of Christian doctrine.” Wesley allowed pluralism in matters of “opinion,” but certainly not when it came to essential doctrine. In these understandings, Wesley is exceedingly relevant for our reductionist and revisionist age. 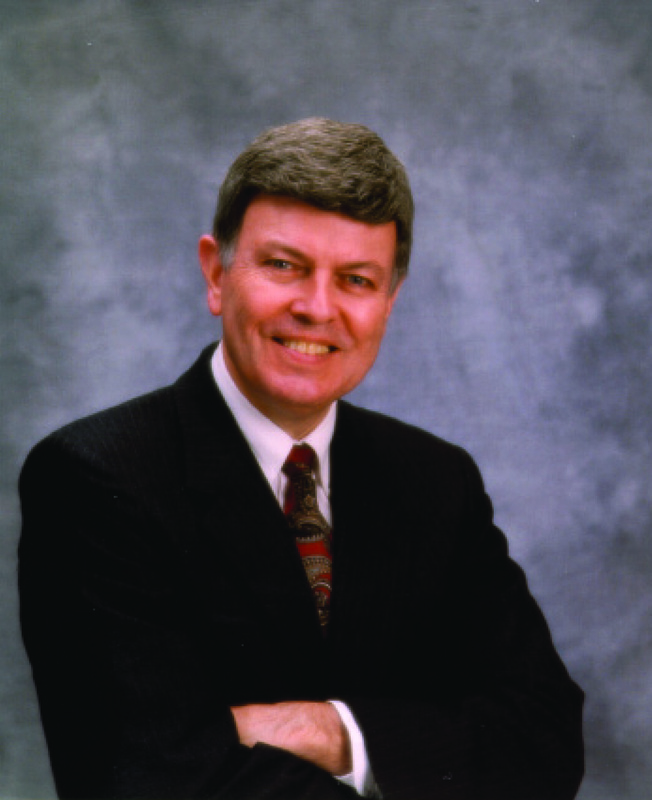 In 1988, the United Methodist General Conference approved a new theological statement from the Theological Commission headed by the late Bishop Earl Hunt. The significance of this new version, “Our Theological Task,” is that “theological pluralism” was intentionally removed and the phrase “the primacy of Scripture” was inserted numerous times. In this way, we moved back toward our Wesleyan roots. Wesley continually subjected tradition and experience to the “written Word of God.” In the “Character of a Methodist,” he wrote “We believe, indeed, that ‘all Scripture is given by the inspiration of God’…We believe the written word of God to be the only and sufficient rule both of Christian faith and practice” (Works, VIII, 340). Wesley was not a simplistic proof-texter, casually pasting together texts from here and there. In his words is his own practice: “I want to know one thing—the way to heaven; how to land safe on that happy shore. God Himself has condescended to teach the way; for this very end He came from heaven. He hath written it down in a book. O give me that book! At any price, give me the book of God! I have it: here is knowledge enough for me. Let me be homo unius libri. Here then I am, far from the busy ways of men. I sit down alone: only God is here. In His presence I open, I read His book; for this end, to find the way to heaven. Is there a doubt concerning the meaning of what I read? Does anything appear dark or intricate? I lift up my heart to the Father of Lights…I then search after and consider parallel passages of Scripture, ‘comparing spiritual things with spiritual.’ I meditate thereon with all the attention and earnestness of which my mind is capable. If any doubt still remains, I consult those who are experienced in the things of God; and then the writings whereby, being dead, they yet speak. And what I thus learn, that I teach” (Preface, Standard Sermons, 1746). Being homo unius libri did not mean that Wesley rejected all other books, learning, and writings. To the contrary, Wesley stressed also the importance of reading the works of the saints of the Church down through the centuries in order to share in the insights God gave them into his (God’s) revelation. Williams points out that Wesley must be placed with the Reformers in his principle of sola scriptura, in the sense that Scripture is the final authority in matters of faith and practice; not in the sense that tradition and experience have no value, but in the sense that those further sources of insight must be congruous with the revelation recorded in Scripture. Wesley said in fact, “It is no part of my design to save either learned or unlearned men from the trouble of thinking.…On the contrary, my intention is to make them think, and assist them in thinking.” But his own mind and heart was so full of Scripture that he scarcely gets through a sentence without including a phrase or portion or a verse of Scripture. His life, mind, and writings are saturated with the sacred text of Scripture. There is no question about the importance of the doctrine of perfection in the history of Methodism. Wesley believed that this emphasis was a peculiar heritage given to the Methodists in trust for the whole Church. He wrote in 1790, just a year before his death, “This doctrine is the grand depositum which God has lodged with the people called Methodists; and for the sake of propagating this chiefly He appeared to have raised us up” (Letters, VIII, 238). Wesley was very serious about this teaching. He used various terms to describe a new, deeper stage or relationship in the life of the believer—perfection, holiness, entire sanctification, perfect love, full salvation. This teaching came to Wesley from his careful reading of the Apostolic Fathers. In fact, their writings formed the first volume of his Christian Library. For Wesley, the holiness about which he spoke and preached was one in terms of unbroken relationship to Christ the Holy One. The perfect Christian is holy, Wesley would say, not because he has risen to a required moral standard, but because he lives in this state of unbroken fellowship with Christ. Wesley stated what perfection is: “We mean one in whom is ‘the mind which was in Christ,’ and who so ‘walketh as Christ also walked;’ a man ‘that hath clean hands and a pure heart,’ or that is ‘cleansed from all filthiness of flesh and spirit;’ one in whom is ‘no occasion of stumbling,’ and who accordingly, ‘does not commit sin’” (Works, XI, 384). Those made perfect in love by faith were never so perfect that they did not still need forgiveness and were not perfect in such a way as to be able to live independently from Christ. Little wonder that he saw this doctrine as a key to his movement. In our quest to renew the United Methodist Church, we should rely upon the unique strengths that marked the ministry of John Wesley—theological seriousness, doctrinal precision, reliance upon Scripture, Christian perfection, and aggressive social ministry. These were the key elements that sustained the birthing of early Methodism and distinguished John Wesley throughout his life. In plans for his passing, Wesley remembered the poor. He directed that “Whatever remains in my bureau and pockets, at my decease,” was to be equally divided among four poor itinerants, whom he named. To each of the traveling preachers within the connection six months after his death, he left copies of the eight volumes of his sermons. He also requested that neither hearse nor coach take any part in his funeral, but desired that six poor men, in need of employment, be given a pound each to carry his body to the grave. And while multitudes filed silently by Wesley’s body, which lay in state in his City Road Chapel, the funeral and interment were kept secret among his inner circle, being conducted by torchlight before the dawn of day. Since my days at Asbury Seminary I have appreciated Dr. Heidinger’s clarity of thought, consistent understanding of John Wesley, and perspective on renewal in the UMC. I think he is on point on may areas. What I know from 25+ years of ministry in 3 differnet annual conferences is that many of the newest generation of ordained clergy who graduated from most of the UMC seminaries have limited exposure to the doctrinal teaching and focus of Wesley. Many also have been raised in, educated in, and preach and minister out of a clear conviction that you can have a right heart (defined as love Jesus and people) and not have right (in terms of orthodox classic Christianity believed and taught by Wesley) doctine. In fact some harbor a conviction that holding to right doctrine in today’s culture and church drives you to have a wrong heart. The longer I am in ministry the deeper appreciation I have that it takes a clear and consistent work of the Holy Spirit to give a persons a right mind, right heart, right doctrine, and right action. I pray for a Spirit-birthed renewal of all these in myself and the church. I have thoroughly enjoyed reading this piece as part of being involved in an exciting project to rescue a Wesleyan Sunday School built alongside Heptonstall Methodist Chapel in West Yorkshire. John Wesley preached here before the building existed, laid the foundation stone and returned to preach many times later. The Octagonal Chapel itself is believed to be the oldest in continuous use in the world and receives many international visitors. Unfortunately the Sunday School building, originally built to educate the poor who otherwise would have had nothing, is planned to be sold by the Church which many of us believe will be a great loss that should be avoided.